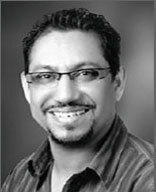 The multi talented Tahir Moosa is not only a founding partner, but is also an accomplished director, having spearheaded award winning projects such as ‘Mailkateers’ and ‘ Cocomo’. He oversees the creative and commercial projects for Sharp Image and has been a proponent of the company’s growth in terms of new business ventures both regionally and internationally. This includes the sourcing, development and production of kids and family entertainment properties with a view to making them global brands in the fields of TV, Home Entertainment, New Media and Licensing Merchandising. 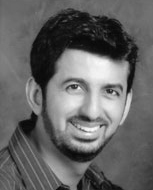 Amyn Farooqui is the creative genius behind TV Commercial animations and visual fx, and is also a founding partner. He facilitates advertising agencies, producers and Ad film directors (both local and international). His contribution to new business strategy and ventures and organizational structure have shaped Sharp Image into the Company it is today. His portfolio includes illustrious brands including LU Prince, Electrolux (Winner of TASI Artfest 2010, India), Omore, Ufone, Telenor animated fx TVCs as director/creative director.